If you have a train fanatic in your house or preschool you need this preschool counting game. 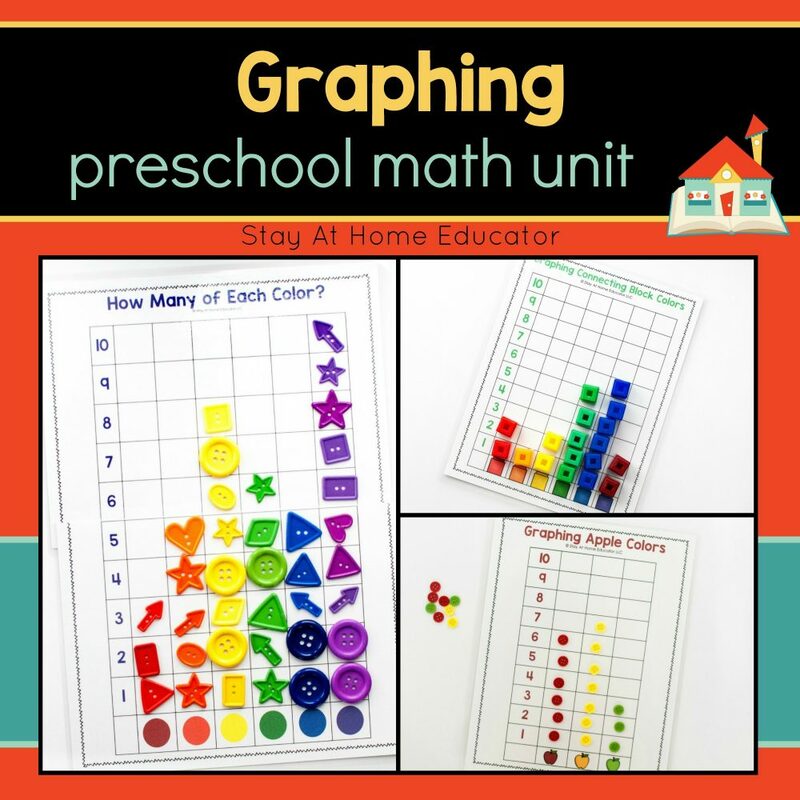 It teaches counting and color recognition, as well as basic graphing. You can grab your own FREE printable of this game at the end of this post! With five kids, I always feel like we have a ton of toys. A ton! When I calm down enough from the constant messes, I don’t think we have too many. But sometimes the mess of five kids playing (and forgetting to put their toys away) is overwhelming. I do rotate toys, but in addition to that, I have another trick I use to keep the toys at bay. I seldom buy new sets of toys anymore. When birthdays and holidays roll around, I purchase toys that add to the sets we already have. Now, I have two little boys who will play trains all day long. All day. Even my oldest, who is eight years old still loves to play trains with his little brothers. And my daughter loves to play trains because she is artistic and sees designing train tracks as artwork. I’m not sure what this year’s hottest toy is on the market, because I’m busy adding to our train set. We have lots of different tunnels and bridges. We have wooden tree accessories and street signs. We have hills and lots of risers. 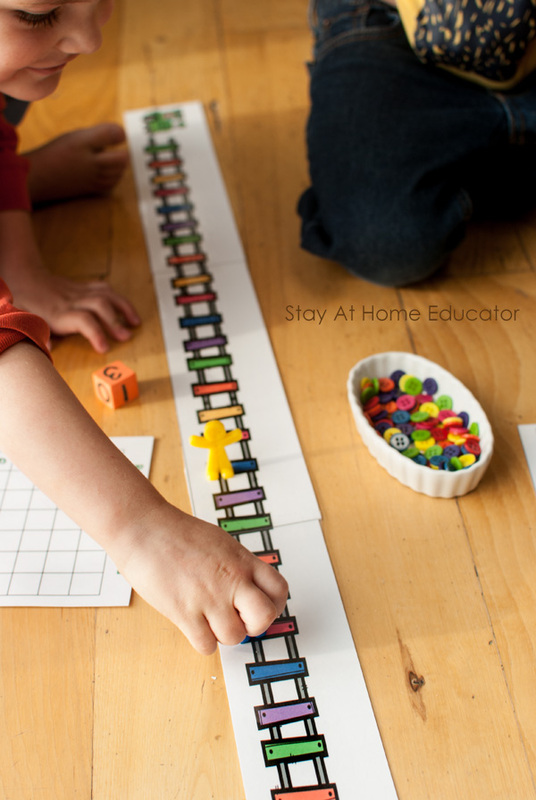 And…now we have printable train games like this one! Don’t forget to grab your copy at the end of this post. And if you want more fun games, you should check out this download! Absolutely! Even though it’s a preschool counting game, older train fans are sure to love it, too. 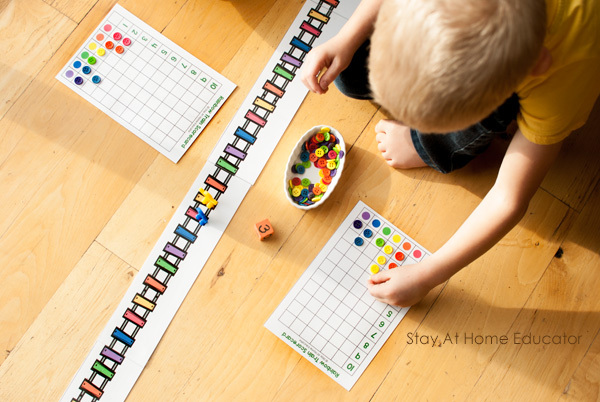 This train game teaches color recognition, counting skills, and even a little graphing, as well as taking turns and following rules. And, might I add that this is a perfect game to play for St. Patrick’s Day! Give each player a graphing scorecard and a game piece. Because this game teaches the colors of the rainbow, it was great our St. Patrick’s Day party, too! Play is simple and straight-forward. This is not a game where there is a real winner. Rather, players work to collect buttons for their “train”. Select a player to go first. Roll the die and move the game piece the corresponding number of train tracks. Identify the color of the train track and find a matching colored button. Add the button to the corresponding column on the graphing score sheet. Continue play until all payers have reached the end of the track. Count how many of each color was collected. 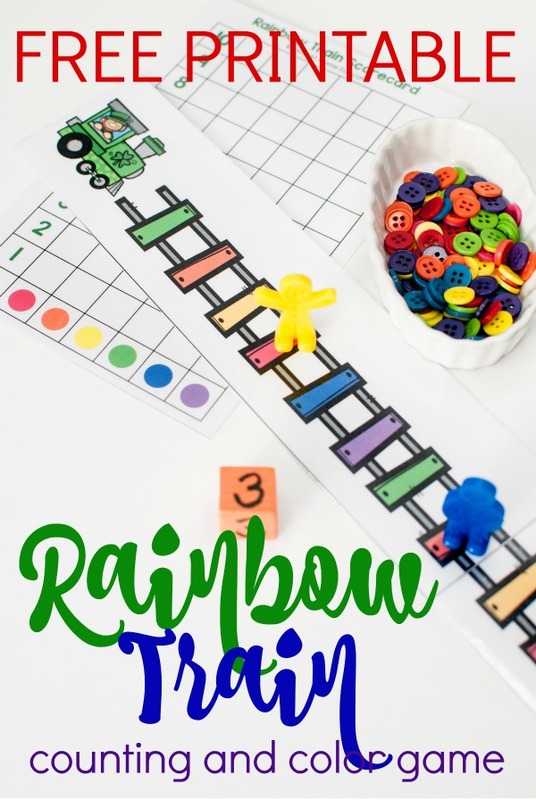 Don’t forget to grab your FREE printable Rainbow Train Game at the end of this post! I like to use a 1-3 die for this game for a couple of reasons. This game is excellent practice for learning one to one correspondence skills, so a 1-3 die works nicely, especially for young preschoolers who are just learning. Since one to one correspondence is one of the most important math skills a preschooler learns, a 1-3 die is great reinforcement! Plus, a die with smaller numerals makes the game last a little longer, which means that the children get to spend more time working on their graphing skills! You might also like these math games! I’ve paired up with some amazing kid bloggers to bring you 15 brand new ideas! Think this is something your preschooler will adore? (Just trust me, the answer is yes). You can get your own copy by clicking the picture below. 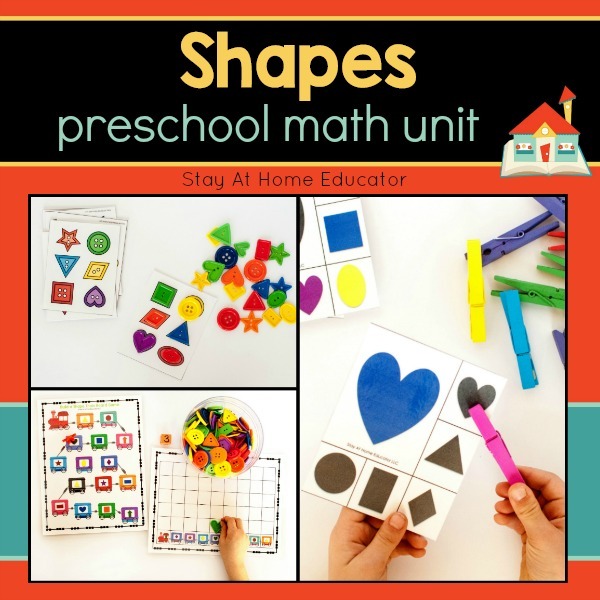 Do you have a favorite preschool counting game the kids love? Want More Printable Games and Activities? 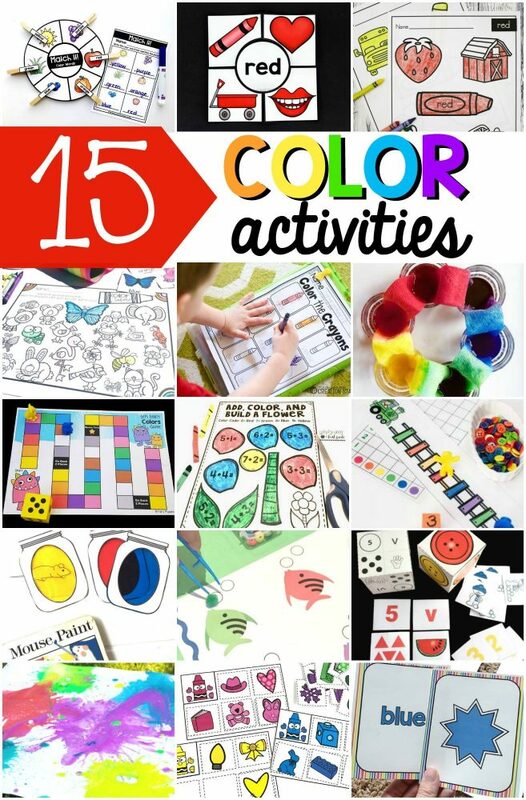 You might also like these printable activities! The link to the download is at the very end of the post. It’s a large image. But, I had the wrong code in the download, if that is what you are referring to. It’s all fixed now. Sorry about that. It should download just fine now. Hello, I clicked on the link above and subscribed but I got a link for valentine’s pattern blocks instead of the colour train activity? Am I going wrong somewhere? Thanks! I had the wrong code in the download, but it is now fixed. Sorry about that. It should download just fine now. Actually, the link in the materials section for the buttons are not the ones I used. I just grabbed some standard sized buttons in all the rainbow colors for this activity. You can grab them here: https://amzn.to/2KqKJEu That’s what size fits the printable best.